I bought my wedding dress at David’s Bridal. The only reason I went to David’s Bridal is because they were the only bridal store that sold petite wedding gowns. The designer is Oleg Cassini — Jacqueline Kennedy’s designer. I always loved the way she dressed: classic, elegant and sophisticated. I loved this dress after I tried it on. 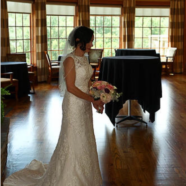 After my wedding, I Googled dry cleaners in Charlotte, North Carolina and surrounding areas to have my dress cleaned. Heritage Garment Preservation came up — and it was even recommended by The Knot! — but I didn’t want to use them because they were too far away. But I still reviewed their website and knew the questions to ask my local dry cleaners. I wasn’t happy with their answers. With HGP, you can open the Heritage Box or the Museum Method bag to see the results after your dress is cleaned. Other dry cleaners told me if I opened the box, the warranty would be void. How else could I examine their work? Plus, my dress has sequins and rhinestones — yet another reason I thought HGP would take great care of my dress. I got the Heritage Couture package because it has a lifetime warranty. I cannot wait to inspect my wedding gown after it is cleaned and preserved. Ellie and the rest of the HGP support team were great. I hope this helps those of you who are debating! Thanks so much for sharing this with us, Kimberly! 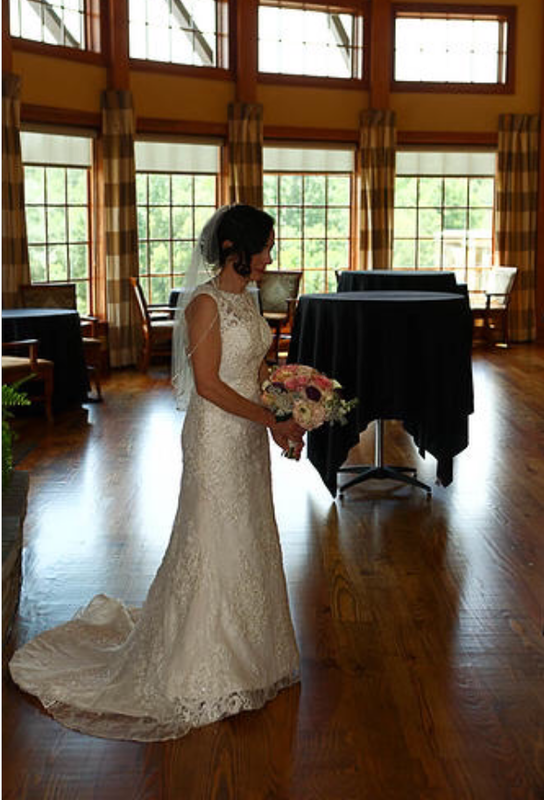 Want to read more wedding gown stories? Read them here. Feel free to share your own love story or wedding gown story in the comments or on our Facebook page! Do you have a gown or other important heirloom you’d like restored and preserved? Check out our packages here. Want more before-and-afters? See more transformations here, on our INSTAGRAM, and on our Facebook page!